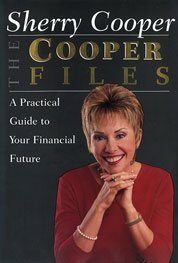 Dr. Sherry Cooper is a sought-after speaker, writer and advisor renowned for her ability to simplify and de-mystify the complex subjects of economics and finance. Dr. Cooper is Chief Economist of Dominion Lending Centres. Canada’s leading mortgage and leasing company with more than 2,600 members offering free expert advice across Canada. In this role, Sherry helps Canadians understand the issues surrounding their most important financial decision – buying a home. An award-winning authority on finance and economics, Sherry is also TMX Industry Professor at DeGroote School of Business, McMaster University. Named “the megawatt celebrity economist” by Canada’s national newspaper –and repeatedly cited as one of the most influential women in Canada, Sherry served as Chief Economist and Executive Vice-President of BMO Financial Group where she was responsible for global economic and financial forecasting as well as country-risk and industry-risk analysis. She joined BMO Financial Group in 1994 when it acquired Burns Fry, where she had been Chief Economist, Co-Head of Fixed Income and the first female director of a Bay Street investment firm. 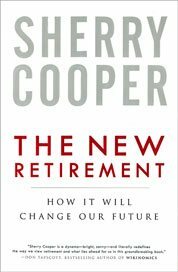 Well-known as a media commentator, Sherry’s third book – The New Retirement: How It Will Change Our Future – was a block-buster best-seller. 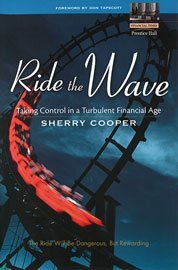 How It Will Change Our Future In The New Retirement, global economic strategist Sherry Cooper explains that the boomer generation will be reaching traditional retirement age very soon and that an enormous wave of boomer retirees will crest in 2025. This phenomenon will profoundly affect the labour markets, the economy, and financial markets for decades…. If you would like to book Dr Sherry Cooper to make a presentation or have any other questions please use the form below to send her an email.